Ricardo Arjona is mourning the loss of his mother Nohemi Morales, who died on Wednesday at the age of 78. The 49-year-old confirmed the news on his Twitter, "My girlfriend became young again. But she has left me. I will always miss you mother." The reference is from a touching song the Guatemalan songwriter dedicated to his mother titled, "Mi Novia Se Me Está Poniendo Vieja" ("My Girlfriend Is Getting Old"). "My girlfriend is getting old on me and I had just started to fall in love," says the heartfelt lyrics. "The weight of the things that she suggests and her universal gift of forgiveness." Nohemi Morales died in a hospital in the capital of Guatemala due to health complications, Prensa Libre reports. The President of Guatemala, Otto Pérez Molina, gave his condolences to the singer and songwriter. "My deepest sympathies Ricardo Arjona and all of your family for the death if your mother." Fellow Guatemalan and "Hoy" presenter Héctor Sandarti used Twitter to send his thoughts to the singer writing, "Dear Ricardo Arjona, I feel for the loss of your dear mother. I send you a big hug from the heart. R.I.P." The Latin Record Academy also sent their regards, "The Latin Recording Academy sends its condolences to Ricardo Arjona for the passing of his mom." "El Gordo y la Flaca" host Lili Estefan also felt for the loss saying, "My deepest sympathies for Ricardo Arjona during these difficult times. May God give him strenght and lots of light." The funeral for Nohemi Morales has taken place in Guatemala City where friends and family gave their last goodbye. A year ago Morales was present when Arjona unveiled plans for an arts school, the same place where his parents met when they worked as teachers. 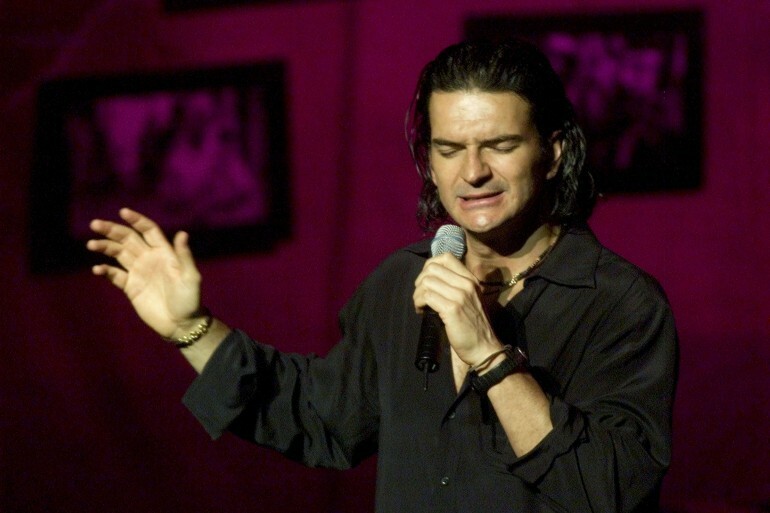 On March 31, 2012, Arjona dedicated his song to his mother who was present at the concert. "In this song there is a previous protocol, today I will not follow it because the person who inspired this song is here today." Watch the touching video for "Mi Novia Se Me Está Poniendo Vieja" below!